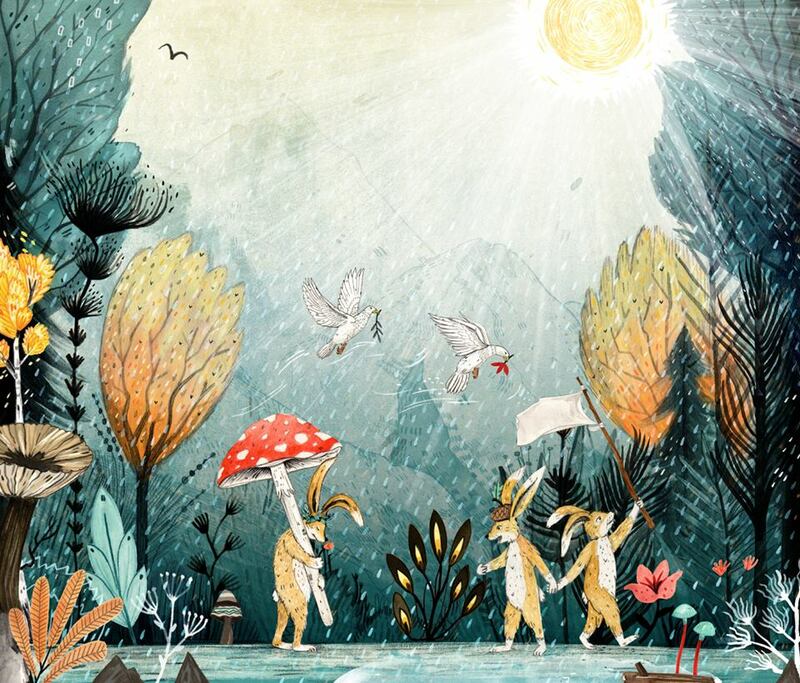 For March’s Literati experience we worked with the fabulously talented, award-winning artist Sandra Dieckmann, who told us how her own journey influenced that of the polar bear in her debut children’s book, Leaf , and how music provides both solace and inspiration while she works. 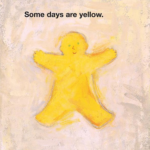 Leaf is your first children’s book. Tell us about the road to getting published. My mom worked in a kindergarten, which I visited often, and so I was always surrounded by picture books. 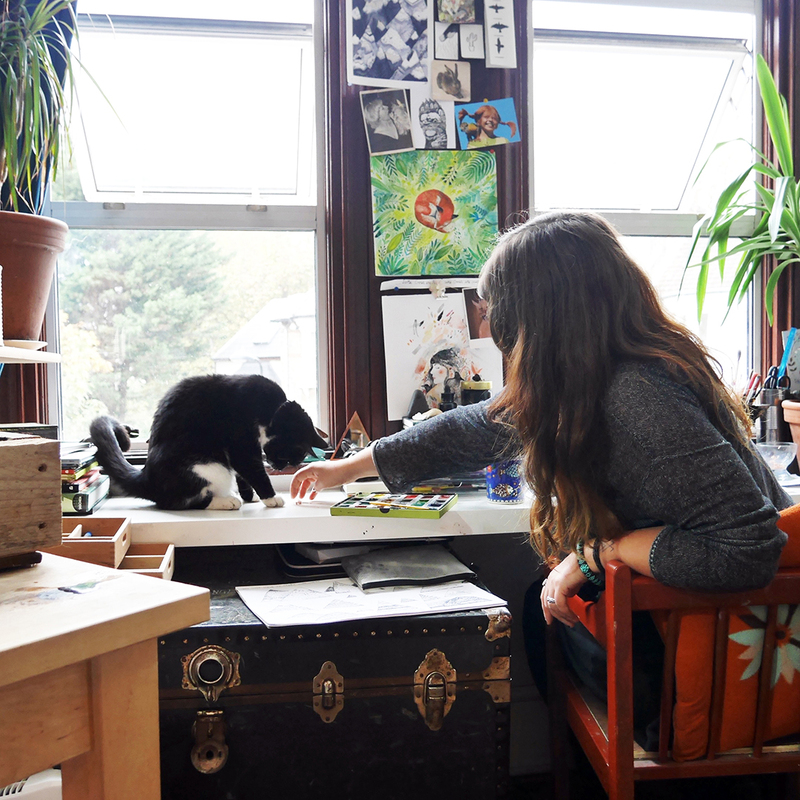 My dad did a lot of painting and drawing, too, and when I started working as an illustrator, publishing a book was something that was always in the back of my mind. I got busy for many years in my career as an illustrator and just never really came up for breath long enough to develop my book ideas. So when Flying Eye Books / Nobrow contacted me out of the blue in 2016 I was over the moon as I had been a great admirer of their work. Leaf grew out of a few different ​stories​ that became the book you know today​ about the polar bear who tries to fly home. The image of the polar bear on the ice floe reminded me of that striking image that went viral a few years back; a powerful visual reminder of climate change. Was that the genesis of the book? The book originated from so many different thoughts and ideas but I do remember seeing various disconcerting visuals of our ever-dwindling wildlife. I love drawing bears. Their mass and muscles and faces lend great space for expressing human emotion. I’m an avid supporter of environmental causes and my affinity with bears must have played into choosing the main character too. Bears are lovely to draw. Their mass and muscles and faces lend great space for expressing human emotion and their long relationship with us through stories and legends make them a strong contender for a protagonist. The focus of the story seems to be about being an outsider. What was your inspiration? Let me say that there is a lot of the storyteller in the story. I grew up in Germany and in the years before moving to England, I cared for my mother who later passed away with a brain tumor. I was only 19 when I moved to London to work as a nanny – it was just me and a backpack, and I never returned home. My psychologist recently asked if Leaf was about me. I denied it then but now I can see how it relates to the teenage me arriving on the shores of this big island full of strange animals. Conversation, friends and trust can lift you out of (depression) like the crows do for the little polar bear. I was gregarious on the outside but struggling on the inside; not just with learning the language and getting used to a new environment but I also had a lot of anger and pain inside. I’ve alway been someone who was quite comfortable in sadness and melancholy but as an adult I struggle with anxiety and depression at times. When those moments, weeks, or months arrive, you are an outsider looking through thick glass at the world, like a ghost, lost, just like Leaf perhaps. Conversation, friends and trust can lift you out of it like the crows do for the little polar bear. 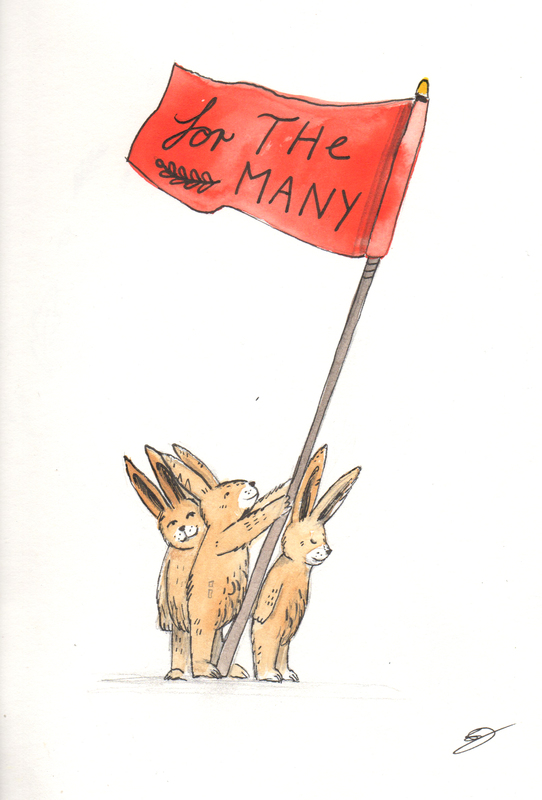 It’s told almost like an allegory. Why did you choose that method of storytelling? It allows for a certain degree of distance and interpretation. I think children are great observers of other people’s feelings and can make up their own mind about what is happening in the book. I’m influenced by the stories I grew up with and which mostly hailed from northern Europe and Russia. The stoicism in the words written this way has a timelessness about it as folklore has, and I find that very beautiful. You’ve said you didn’t want to be ‘preachy’ about climate change or spoon-feed the narrative. How important was it to you that you ‘showed’ and didn’t ‘tell’ in Leaf? I think pointing a finger and shouting will make people look up for a moment, but true learning only happens through your own thinking. Passion grows deep inside when you truly believe something. The issues that the book points to are very important. The art of listening, how simple kindness can transform someone’s life for the better, and of course that the world children are growing up in today is greatly affected by climate change which leads to displacement and a whole lot of other problems. What’s been your favorite interaction with a child about Leaf? When you make a book, you mostly work on your own and speak to adults. It really is the best feeling when you then see a child react to it. 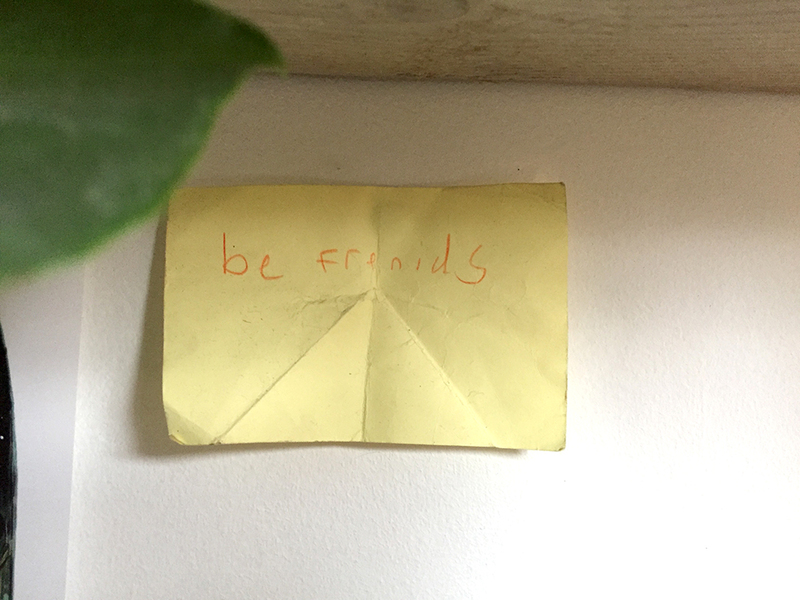 My favorite moments have been a kid handing me a note in a workshop which read: “Be Frenids,” and getting thirty-odd handwritten letters from a year 2 class. Reading all their comments was an amazing experience. 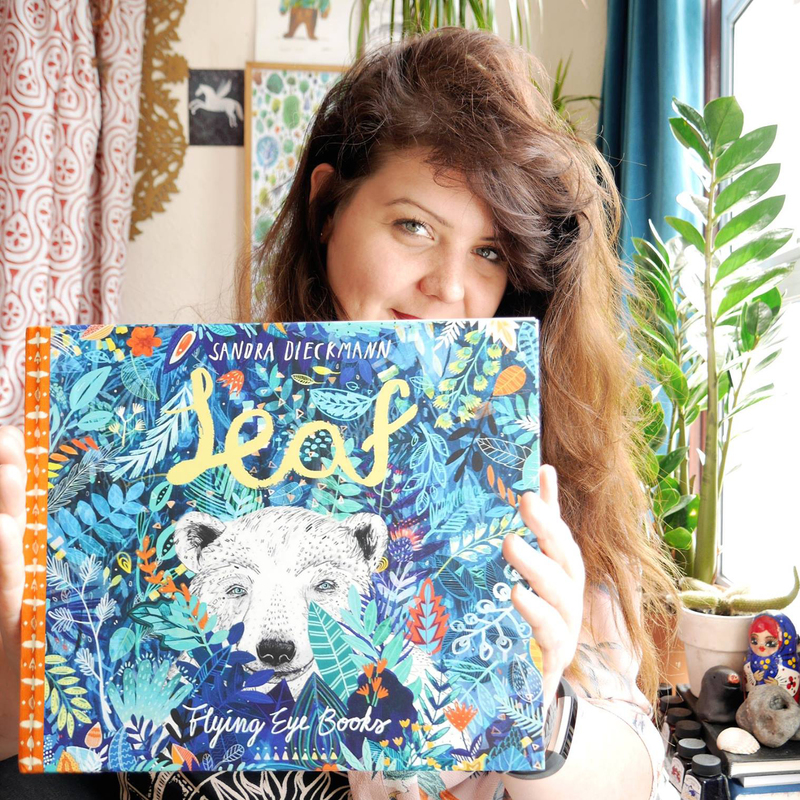 Leaf was nominated for the Kate Greenaway Medal, long-listed for the Klaus Flugge Prize, and shortlisted for the Waterstones Children’s book prize. Have you been surprised by the reaction? Absolutely! This was my first attempt at a picture book and I am completely surprised and overwhelmed by the response and nominations. Of course I worked hard and put my all into it but going into the Waterstones awards the other day I felt really content just to be shortlisted. What a great honor! It’s wonderful to be recognised this way so early on. 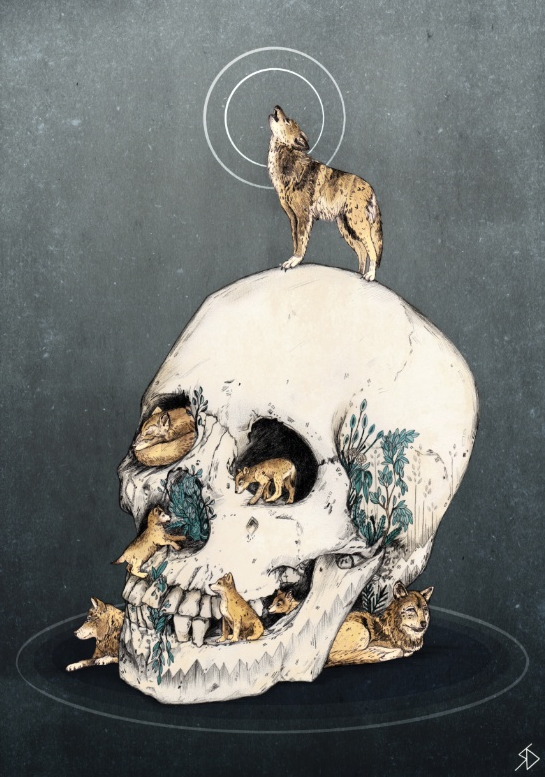 The style of illustration is similar to your previous work (Wolfpack, for example, which features a skull with miniature wolves living inside it and an Alpha standing on top) is a stunning drawing. 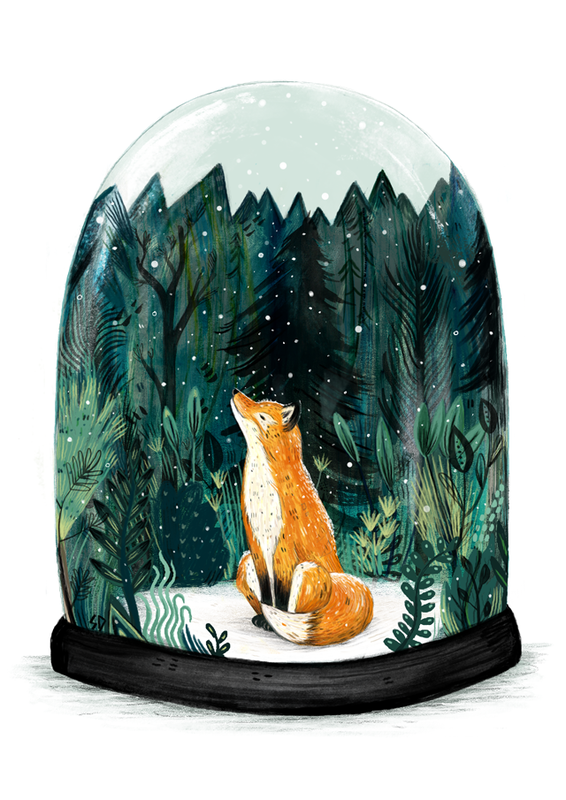 Tell us a bit about what methods you employ in your illustrations. My favourite tool used to be the mechanical pencil. It was my go-to staple for years, but I needed to explore and have since splashed around with inks, used gouache and watercolor in my work, and also more and more digital elements like working on the Wacom tablet. 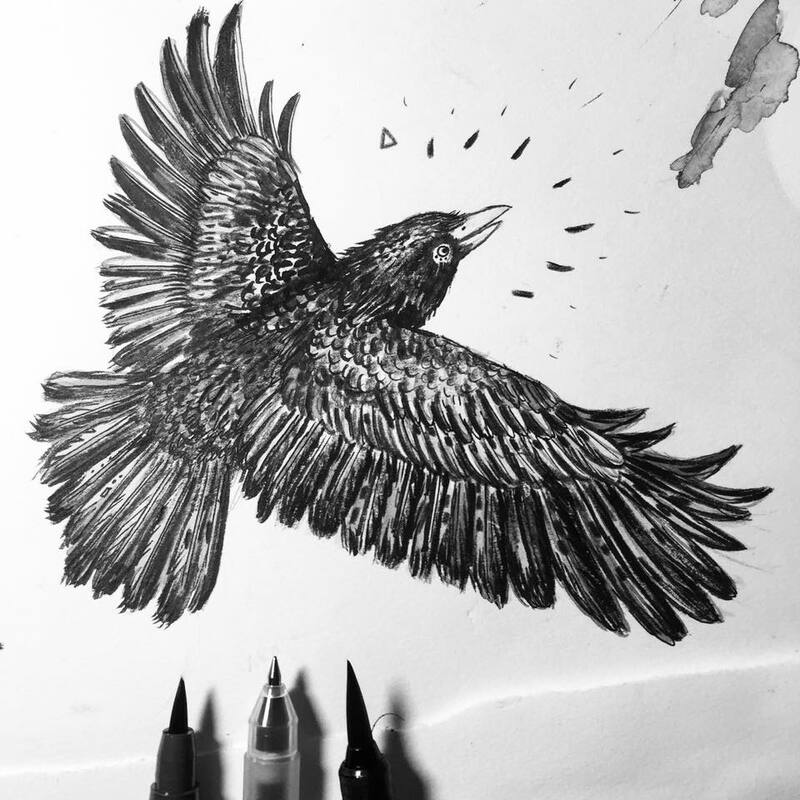 I enjoy the speed and flexibility of working on a tablet but there is nothing like the accidental mark left by a real brush on paper or that graphite smudge. 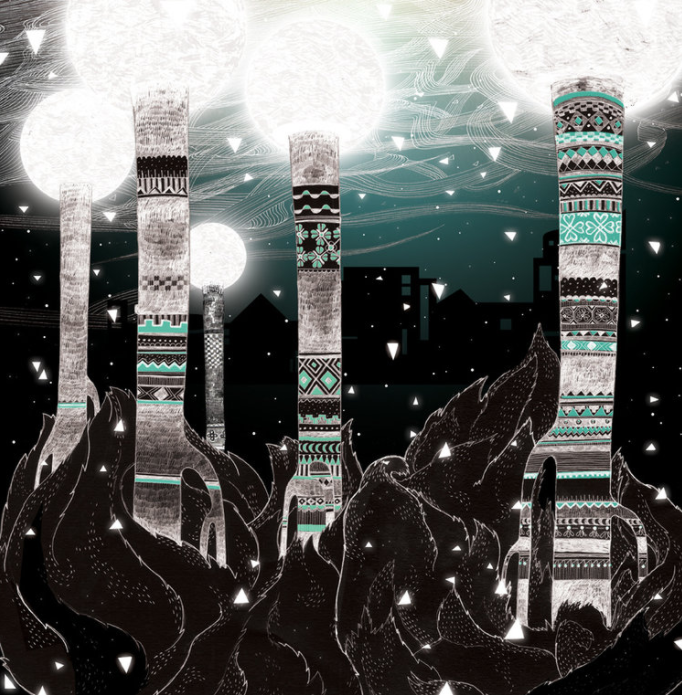 You did one illustration based on The Cure’s song Friday I’m in Love: a futuristic cityscape incorporating beautiful patterns on the trunks of the trees (or are they street lamps?) Was any of your other work inspired by songs? I don’t know what they are. Magical night lights! Whatever you want to imagine they are. A lot of my work is inspired by music. Fox Tree by the late Leonard Cohen, Huntress by Bat for Lashes, Secrets by the Cure, the list is endless. I listen to music all the time while I work. It goes from German Krautrock like Amon Düül II​ ​to poets like ​Chris Bell, ​Dylan and Waits​,​ back again to pop ballads, the B52’s, and Siouxsie and the Banshees. It ​carries me forward and there is great solace and inspiration to be found in music​. My head is full of stories and creatures and conversations. When I was young I explored the countryside and forest in rural Germany as I wasn’t allowed to watch more than an hour of TV a day. I spent loads of time reading, drawing, and making things. I was a shy kid, then a confused​,​ grieving​, loud​ teenager ​with bright red hair. Now I’m a complex adult but at every stage of my life drawing has been my soul’s soothing balm. 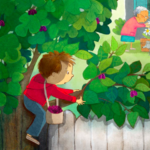 Your next picture book, The Dog That Ate The World, is coming out this summer. Can you give us a sneak preview? What’s it about? I can share some images but we haven’t revealed the cover yet. It’s a cyclical story of a community that lives peacefully, but is segregated into different groups of animals, until one day the dog appears in their valley. He swallows everything and everyone and does not stop, while growing to incredible proportions. The animals must band together and rebuild their lives. It’s the story of the world we live in. It is not a classic hero story where good defeats evil, but it is a story about overcoming darkness and also about balance. The dog eats and eats without being satiated, which brought up the theme of blind consumerism. In my eyes it is also about the strength we all carry inside to make the best of a bad situation; be it a mental health crisis or living under a disagreeable government. The children of the world (the bunnies in my book ) are faced with an incredible threat but respond peacefully. Innocence knows no war can be won, or ever end with repeated retaliation. Do you have any advice for aspiring artists among our members. Don’t be too hard on yourself, experiment, have fun and your style will come if you’ve got what it takes. It’s hard work but that is what you put in to have a voice and ​also freedom​​.